All Hail Greg Chappell – The Destroyer of Cricket Teams! Few people associated with the Indian Cricket scene are as reviled as Greg Chappell, the former Australian batsman and captain, later the coach of India preceding over a disastrous World Cup in 2007. In fact the only other person who has been despised more is probably Mohammed Azharuddin in the aftermath of the match-fixing scandal. Chappell took over the reins of coaching the Indian team in May/June 2005 after John Wright’s long and successful stint. John Wright, it must be remembered, forged a combination with Sourav Ganguly that helped take India to the finals of the 2003 World Cup, and pushed India up the test and ODI rankings. Under his tutelage and Ganguly’s leadership Rahul Dravid and VVS Laxman became the architects of many groundbreaking victories (2001 Eden Gardens, 2002 Headingley, 2004 Adelaide), Virender Sehwag became the first Indian to score a test triple century and the Indian batting order morphed into the juggernaut that it always had the potential to become. Continue reading All Hail Greg Chappell – The Destroyer of Cricket Teams! Such a tactic had been used earlier in a test by Greg Chappell against New Zealand. At that time the bowler was Dennis Lillee and the batsman was not a tailender, but the top order batsman Glenn Turner. 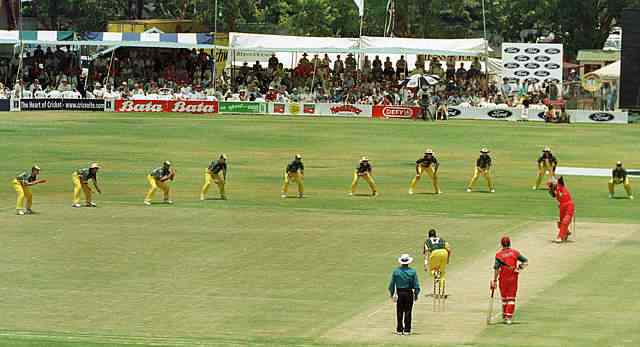 Australia were playing New Zealand in the second test at Auckland in 1977. We were heading for an easy win with more than two days to spare. It was the centenary year and Greg Chappell was about to bring out his book, ‘The 100th Summer’. He had a photographer standing by for the right opportunity, and when their No. 11, Peter Petherick the offspinner, came out, Chappell called all the guys in. I ended up bowling to nine slips, but it was a pretty poor ball. 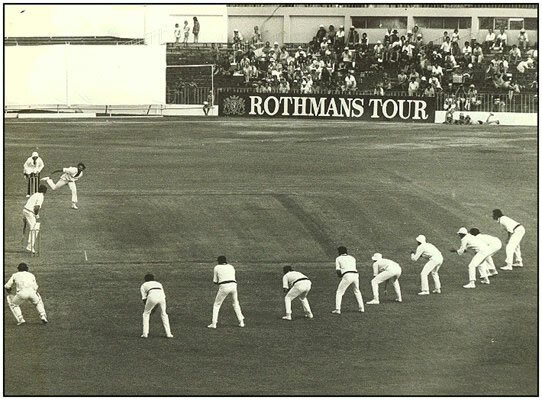 As you can see, Marshy [Rod Marsh] had to go down the leg side to collect. I was trying too hard I suppose. Petherick wasn’t the greatest batsman in the world, but I didn’t get him out for a while that day. So the answer should have been Dennis Lillee bowling to Peter Petherick! I realized almost four years late that TOI had been misleading. I have seen several instances where newspapers (and reputed journalists) get their facts wrong. The Times of India is notorious for this. I recently read the film reviewer Nikhat Kazmi claiming that Slumdog Millionnaire was set to become the 4th highest grossing movie of all time worldwide, while the truth is that it was/is nowhere in the top 100. Indian journalists are notoriously lax in their research, perhaps taking Indian readers for granted. Maybe that is why plagiarists run amok in the Bollywood music industry, because if the journalists did their homework properly and branded every plagiarist a cheat, things would be so much better.